ENetSuD has congratulated the newly elected Governor of Kwara State Alhaji Abdulrahman Abdulrazaq and all the 24 newly elected APC House Of Assembly members in a press statement issued by its Cordinator Dr. Lateef Alagbonsi. 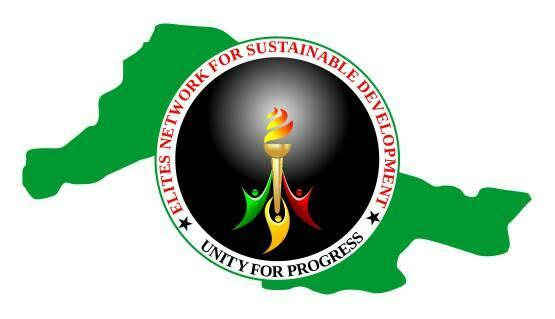 Elites Network for Sustainable Development (ENetSuD), a Kwara-based Civil Society Organization, wishes to congratulate APC, the new Governor elect, and all the newly elected members of the State and National Assemblies. We hope and urge that good governance, transparency and accountability, prompt payment of salaries, and human and infrastructural development be the hallmarks of the new government. We would also like to remind you all, that like many other concerned Kwarans, we would be monitoring the Federal and State Budget to ensure that monies are used ONLY for what they are budgeted for. The account of our monitoring activities will be made available to the public and some appropriate authorities, if necessary, in order to ensure that government do not waver in its duties to the people. Once again, we wish you a very big congratulations, and also pray and hope that your period marks the continuation of good and sustainable development in the state. ENetSuD equally appreciates the electorates for the peaceful manner in which they conducted themselves during and after the elections and commends the spirit of sportsmanship exhibited by the opposition parties, which has greatly promoted Harmony in the state after the election.